I've used my phone overseas with local SIM cards a lot, but recently had a surprising experience where one local SIM card simply wouldn't work with my phone but did work first time on my partner's, even though both were similar (unlocked Android phones) and another SIM card from a different local provider did work. Looking into it, it looks like there are various different standards around, but it all gets very technical very quickly. 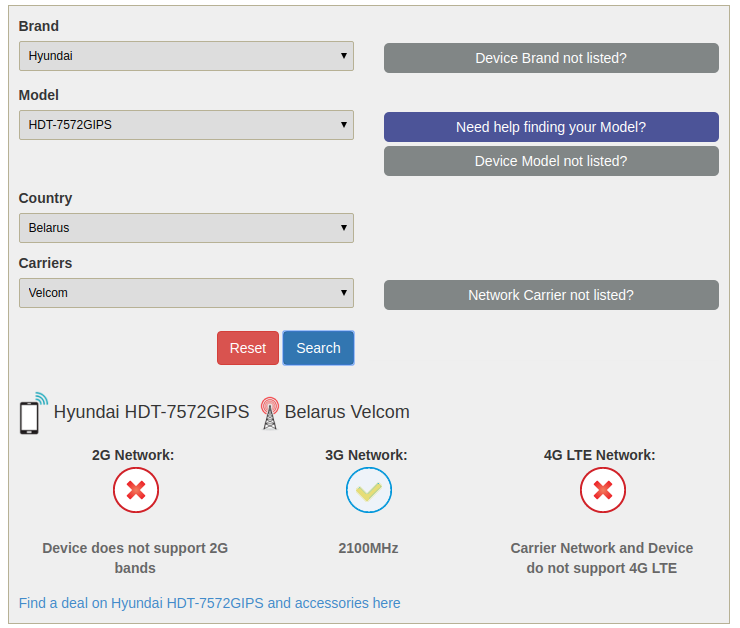 Is there any simple way of looking up which SIM cards in a particular country will work with a particular model of phone, for calls, texts and internet access? There's a wonderful resource for this at http://willmyphonework.net/ . Pick the phone brand, model, the country you want to use it in and the provider you will want to use it with and you will see whether you get 2G, 3G and 4G support. A blue check mark means it should work, a green check mark means there some frequencies which match so at some places it might work, other places it might not. A red means it won't work. In general, 2G or 3G is necessary for calls and text and 4G is a good to have for fast data but if all you need is light data (map, email but not like streaming video) there is no real need for 4G. Not the answer you're looking for? Browse other questions tagged online-resources cellphones countries or ask your own question. How to find out if a Canadian cellphone works abroad? How do I know if my US phone will work overseas? Can you use Canadian tablet-only SIM cards in a phone to make calls and receive text messages? Is my European smartphone already unlocked?